Falling in Love is Automatic! Genuine Scooters has been in love with Stella from the beginning. And we are still in love with Stella today. Her classic design is enduring and timeless. And now she's been reinvented. 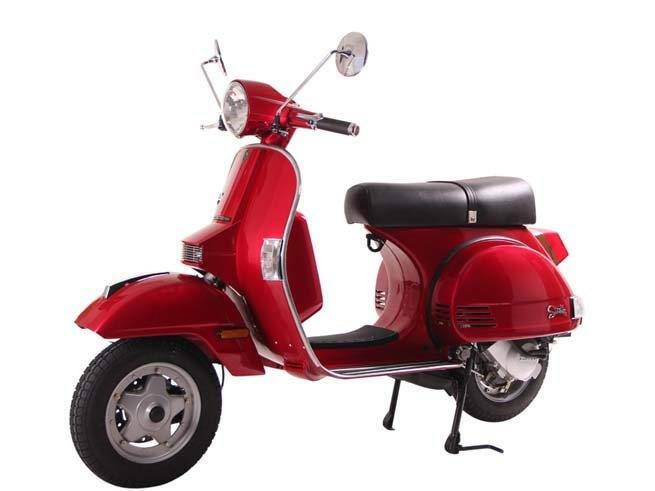 With an automatic transmission, the new Stella 125 Auto is a scooter that anyone can ride. She is fast, fuel efficient and is environmentally friendly. She is the perfect blend of modern technology and vintage inspiration. Stella is timeless and she can't wait to meet you! Front & Rear: 3.5 x 10 in.